We are so proud to announce that our grant application for $25,000 for Hospice Home of Johnson County was fully funded by the Community Foundation of Johnson County! Our thanks to the Community Foundation and to Art and Ginger Nowak! We will work to honor always the love and passion for quality hospice care that Art and Ginger hold dear! This grant money comes at such an important time as we close on our first Hospice Home Oct. 15th! Our grant application was one of 90, and one of 6 fully funded with this year's Community Foundation grants! 100+ Men Who Care. We are excited for the opportunity to spread the word about our cause and the progress we have made toward reaching our goal...a hospice home in Johnson county. Our first Hospice Home of Johnson County fundraiser, attended by 220 people and resulting in $12,000 in donations, was a huge success. It provided our organization an opportunity to share the message with so very many: Johnson County needs a hospice home. Thank you to those who shared their personal stories. Thank you to those who worked so hard to make this event a reality. Finally, thank you to Heather Spangler's U of I College of Education Special Events students. We would be remiss if we failed to mention the Extra Credit Project Band, for offering up a fantastic evening of oldies and classics. We had great fun dancing the hours away on the beautiful deck of the Terry Trueblood Lodge. Finally, thank you board members of Hospice Home Johnson County for being such an inspiration. We look forward to the day when we have a hospice home in Johnson County. It will happen! You are the beating heart of our mission. A team represented Hospice Home of Johnson County at this conference in July. It was a grueling road trip but worth every hour. The Social Model hospice is an option for families facing the complex realities of caring for a loved one at the end-of-life as well as addressing the gap that exists between desired and actual place of death for hospice patients. preferences, the social model hospice complements and enhances traditional medical hospice care. This model of care is provided in a community home, utilizing a network of volunteers and paid staff, in combination with traditional medical hospice. Together they address the gap of resources and the challenges that often accompanying the care of the dying. Google www.Clarehouse.org for more information. Our journey to establish The Bird House, Hospice Home of Johnson County, has been a long one, fueled by passion, nearly extinguished by discouragement, it was resurrected last summer when the house found us after its new buyers changed their minds. The planets aligned when Lois found five mattress pads (all XL) on the sale table. You can't turn your back on miracles! Even tiny ones. We have been awed by the kindness of the community. Every gift, big or small, has been very much appreciated. The hours donated? Be it painting, trim cleaning, decorating, moving furniture…we could not have asked for better volunteers! Businesses in the area too have been generous with their giving - donating products, services and money to the establishment of the Bird House. ​We are so very grateful and honored by the generous donation of our full house generator by Ace Electric of North Liberty, 3E, and Kuenster Heating and Air LLC! 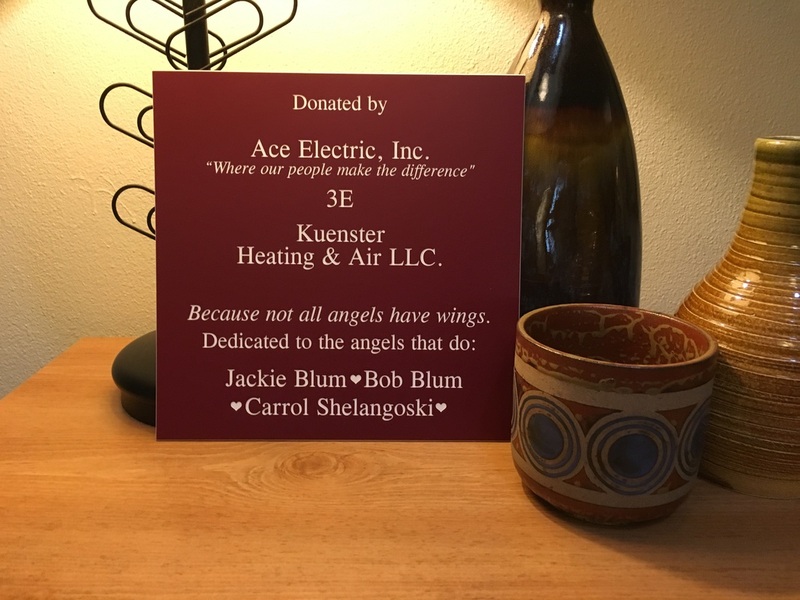 Bob and Robin Schulty, owners of Ace Electric and Jim Hess, (estimator) came out to the Bird House for a tour and then surprised us with a wonderful plaque for the donated generator during a heartfelt speech. The three businesses involved in the installation donated their services and materials. The generator was given in honor of: Jackie Blum, Bob Blum, and Carrol Shelangoski. The gift, worth over $9000, will assure our guests of electricity in all the weather situations Iowa can dish out. Thank you from THE BIRD HOUSE. 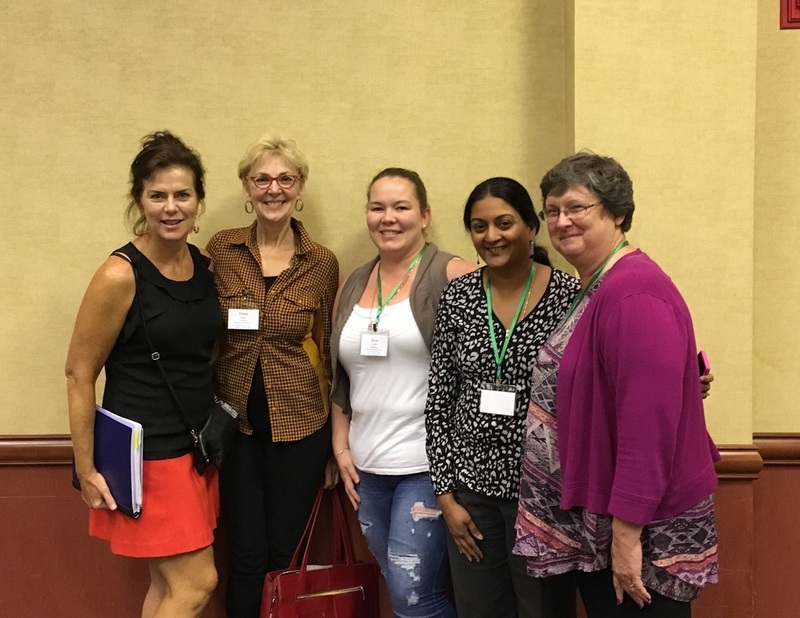 Carolyn Zasier (Marketing Volunteer), Diana Tharp (Board Member), Halie Lopez (Caregiver), Sanjana Raghavan (Volunteer Coordinator) and Carol Tippe (Board President) enjoyed four days learning about other social hospice homes in various stages of development. All joined by the same passionate mission - compassionate, dignified end-of-life care for the dying - relationships were forged and old friendships rekindled. There are now twenty open homes offering services in 15 states. Everyone was thrilled by the number of homes represented at the conference and re-energized by the sharing of common experience. Looking forward to next year already! The Social Hospice Network announced its new name during the conference. Henceforth it will be known as the Omega Home Network. THE BIRD HOUSE Board is pleased to announce it has voted to make our home more affordable for all by lowering our daily rates. Previously asking $250 a day, we now offer three rooms at $175 per day. Two of our five rooms are now available for $100 a day for those eligible for Medicaid.